It wasn’t the original plan. It wasn’t the smoothest of beginnings. 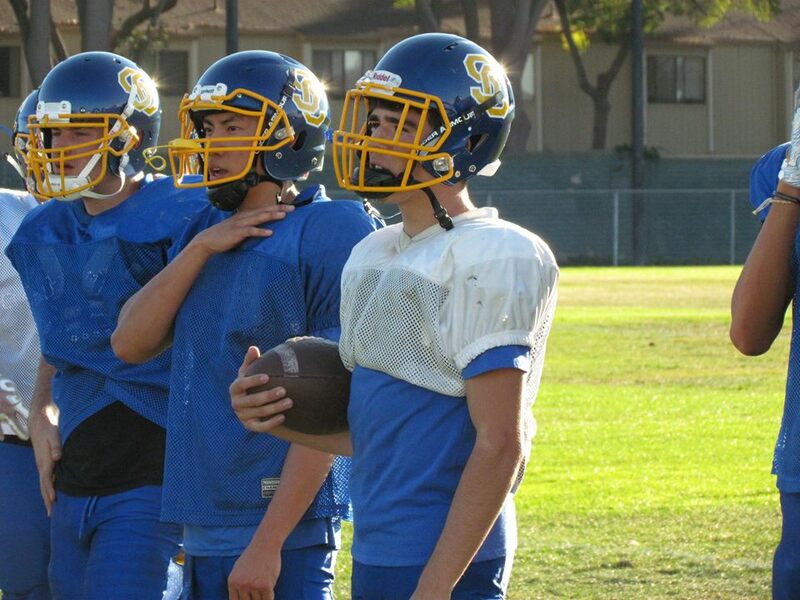 But Santa Clara senior Nick Garcia has now found a rhythm as the Bruins quarterback. For the previous three seasons Garcia played as a wide receiver. 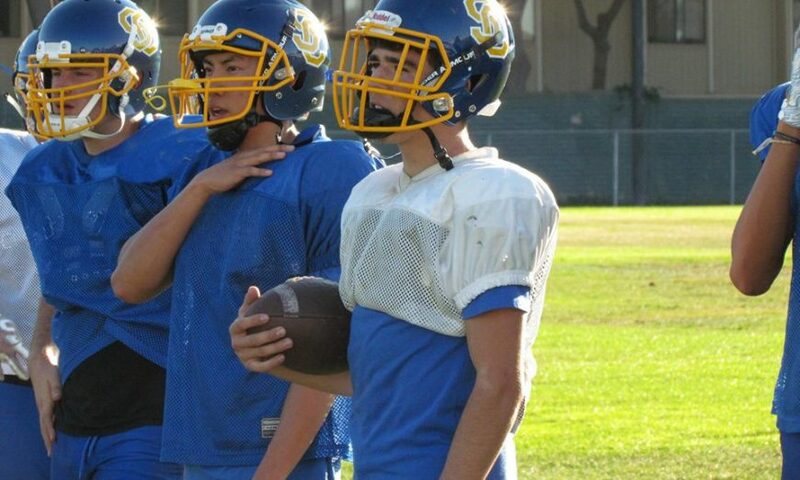 In fact, Garcia had developed into one of the best receivers in the El Camino League along with teammate Richard Corona. Last season, the receiving duo of Garcia and Corona were go-to targets for quarterback Christopher Brown. However, with Brown graduating last season and sophomore quarterback Rocco Rolih out with a broken wrist, the Bruins were left with limited options at quarterback going into this season. Earlier this summer, Garcia, as he always does, was getting in extra work before practice when Head Coach Burt Codera and his staff noticed his big arm. Initially, Garcia didn’t want to change positions. The Bruins began the season winning just once in their first four games. Santa Clara won their season opener against Prospect, but entered league season riding a three-game losing streak. It was anyone’s guess to how the team would perform come league play. Thus far the Bruins proved their doubters wrong. They have won each of their first three games, led by both the legs and arm of their new quarterback. Over the three-game winning streak Garcia has produced an impressive 64-percent completion percentage. He has gone 23/36 passing with four touchdowns and no interceptions. All of that in addition to his 219 yards rushing on 27 carries with four touchdowns and zero fumbles. Santa Clara will look to improve to 4-0 on Oct. 12 when they host 2-1 Mountain View. The Spartans have beaten the Bruins in each of the past two seasons, but both were one-score games, including an overtime thriller in 2016. A win would put the Bruins in prime position to win the El Camino League with just two games remaining. Correction: A previous version of this article incorrectly had Joey Dias’ name as Joey Ghazanfari. It has been corrected. We apologize for the mistake.